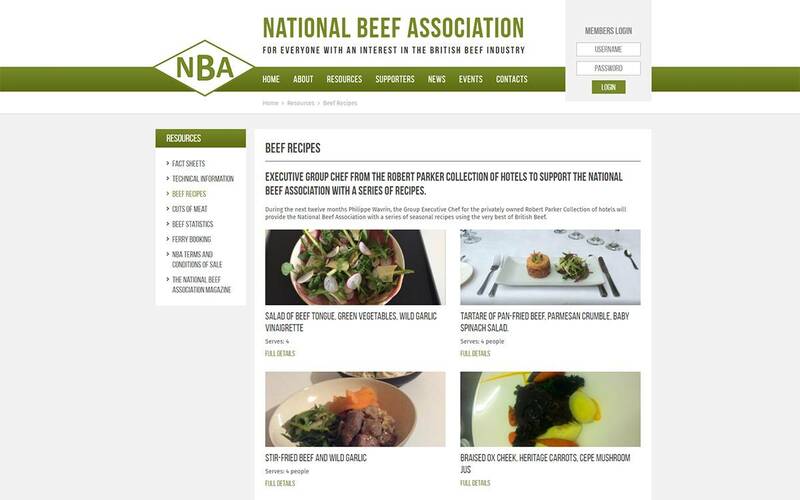 The National Beef Association's mission is to continually promote and support the UK beef industry at all levels. 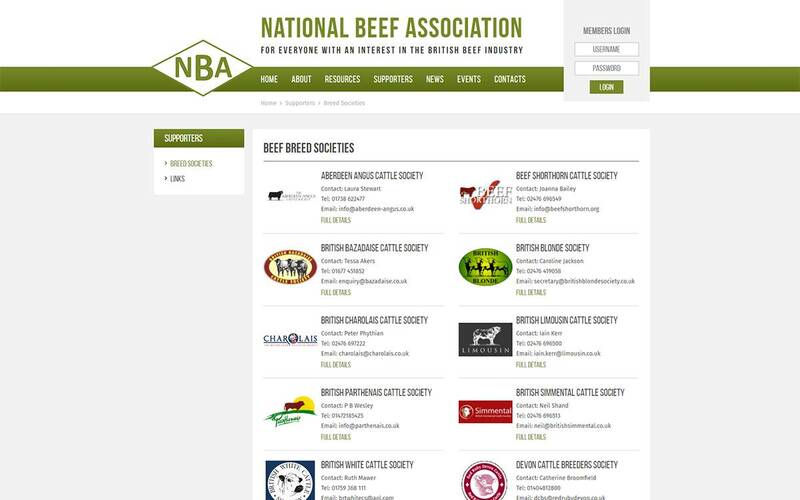 They do this by engaging with the Government and Devolved Administrations to defend the interest of British beef farmers. 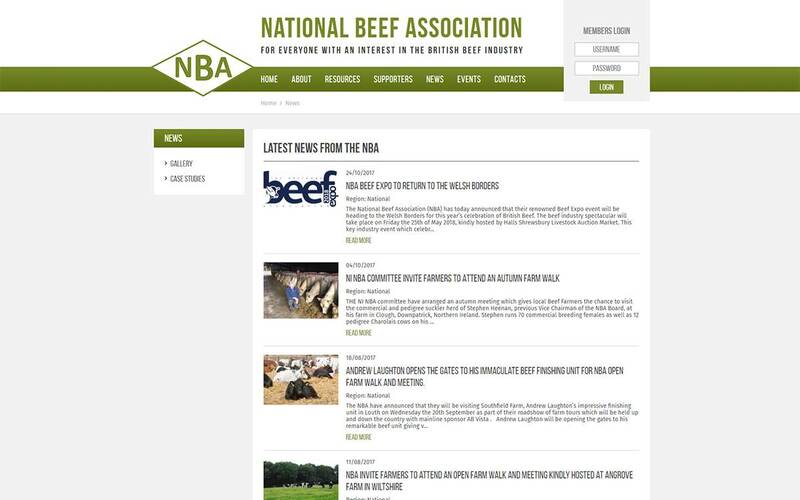 The brief was to provide a website whereby the NBA could promote the work they do for the beef industry and offer a base of information for it's members and supporters. 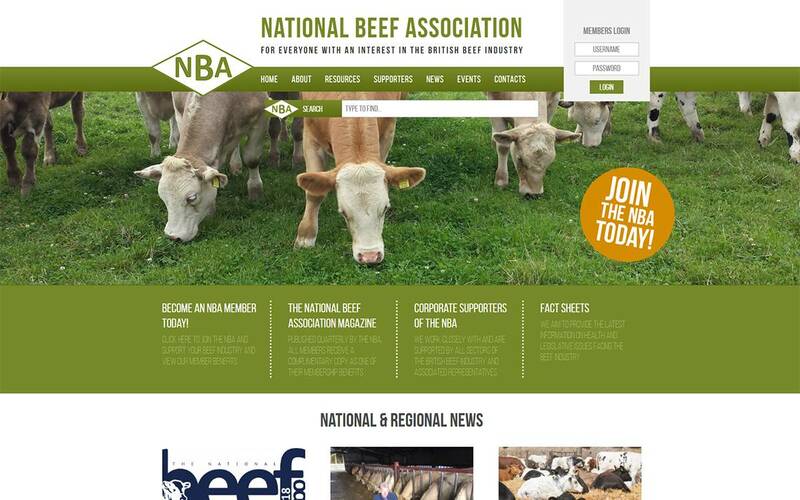 This website is heavily reliant on industry news and resources for farmers and breeders. 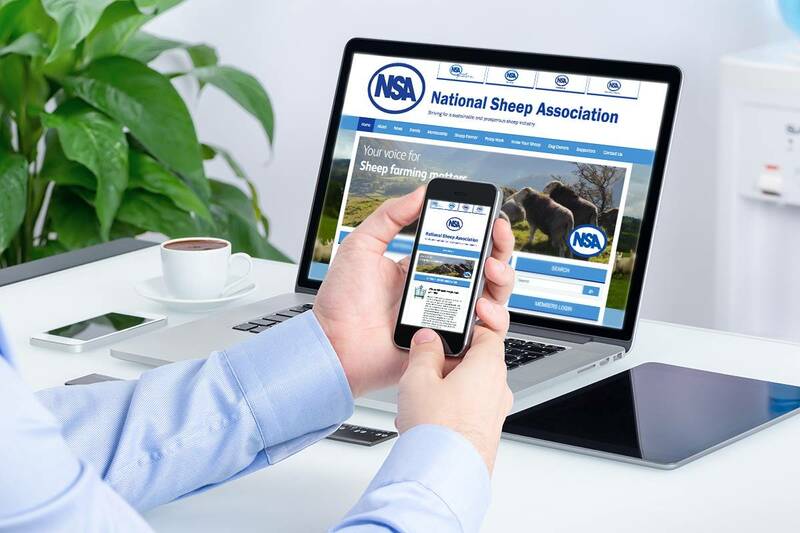 It was important that the site could be accessed from a range of devices and display the large amount of information in a clear, easy to naivgate manner. 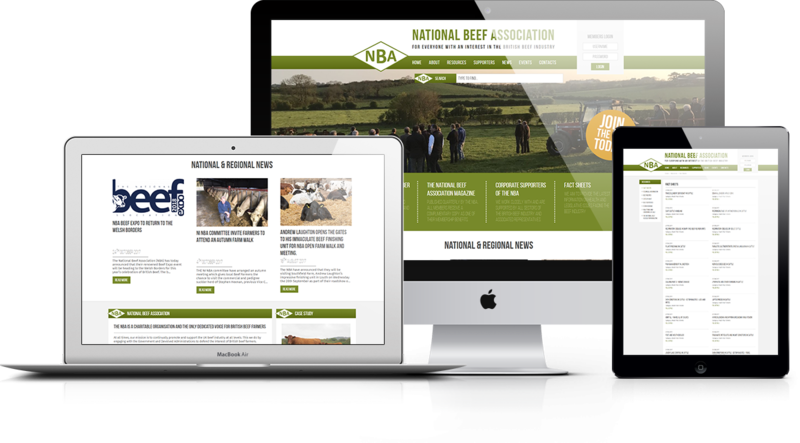 Structured navigation is used to ensure the large amount of website content is easy to access for the end user. 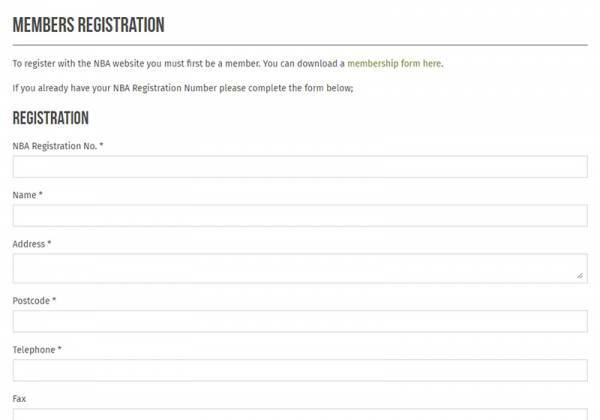 NBA members are able to register to view exclusive content via the website, once their account has been confirmed they can log in. 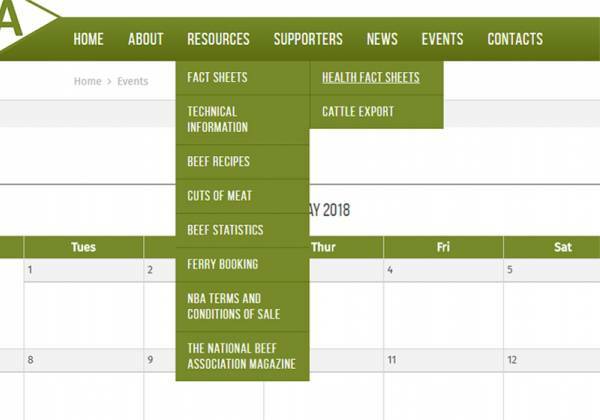 Page tabs are used within the website to structure and categorise information, making it easier to view and access. 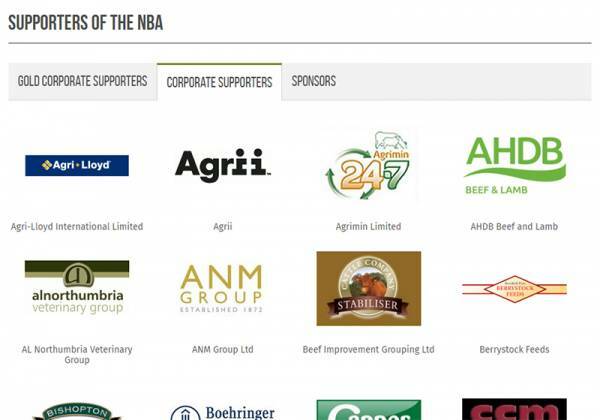 Allan and the team at Dotcom Associates have been invaluable in setting up and managing our website. 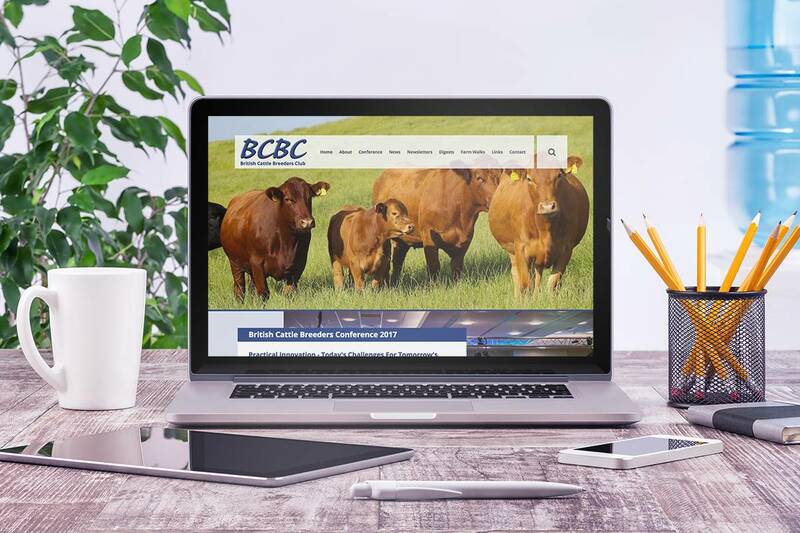 They have taken the time to understand our needs and more importantly our customers needs when creating and updating our webpage, making it user friendly and consequently contributing to increased time spent on page by users. We cannot recommend Dotcom Associates more highly and we look forward to working with them in the future.